Jeannette Lee Bessinger, owner of Balance for Life, LLC and co-founder ofwww.realfoodmoms.com, is a board certified health counselor and mother of two teens. An award-winning lifestyle and nutrition educator, Bessinger helped design a citywide obesity prevention/intervention plan for families with a grant from the RI Department of Health. Designer and lead facilitator of a successful hospital-based lifestyle change program, she acts as a consultant and speaker to public and private groups and coalitions working to improve the health of schools and cities in the U.S. Her simple, practical approach has helped hundreds of women successfully meet the challenges of imbalanced health and nutrition with hope and grace. She also co-author and recipe designer of Healthiest Meals on Earth , The Healthiest 15-Minute Recipes on Earth (Dec 2010), and The Most Effective Ways to Live Longer Cookbook (spring, 2011) with Dr. Jonny Bowden. 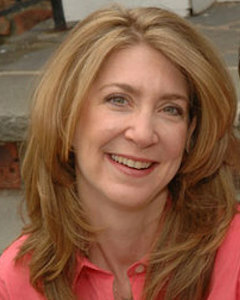 Tracee Yablon-Brenner is a registered dietitian, board-certified holistic health counselor, owner of Nutrition is Healing counseling practice in Englewood, NJ, co-founder of www.realfoodmoms.com, and mother of two girls. She completed her internship in dietetics at New York Hospital Cornell Medical Center, and is American Dietetic Association trained in childhood and adolescent weight management. Yablon-Brenner is a member of the American Dietetic Association, Integrative and Functional Medicine and Pediatric and Diabetic Practice Groups, the American Botanical Society, Action for Healthy Kids, the Community Health Improvement Partnership of Bergen County, and part of the Kids Eat Right campaign through the American Dietetic Association. Together, Bessinger and Brenner are the Real Food Moms, dedicated to educating parents about family nutrition and whole foods cooking. They have co-authored two comprehensive and practical guides for family nutrition, Great Expectations: Best Food for Your Baby & Toddler and Simple Food for Busy Families .